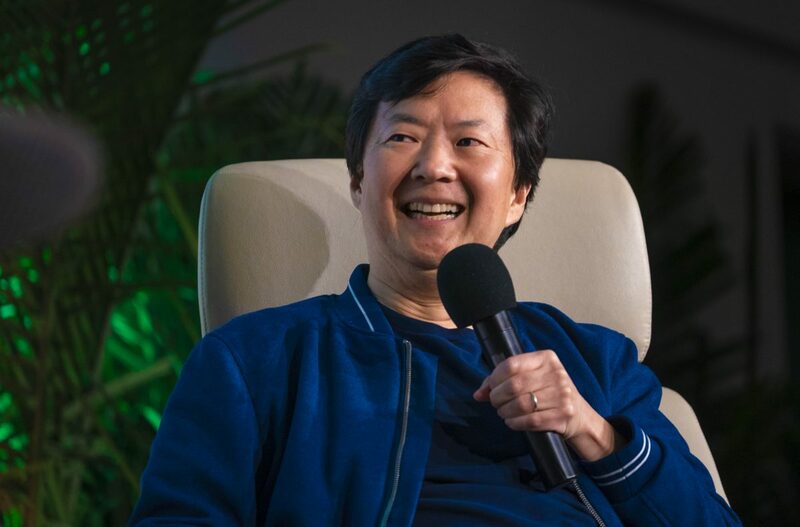 South Korean actor, physician, and comedian Dr. Ken Jeong was invited to the University of Miami to speak to students about the important topic of race in film, sharing his own personal experiences as a minority in the acting world as part of the What Matters to U lecture series. 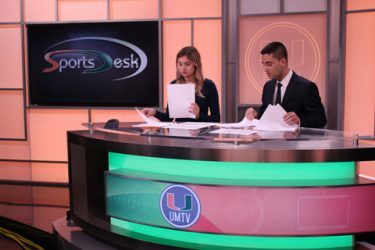 The event, held on April 11, was hosted by Student Government’s Student Engagement Planning Agency and moderated by Jack Camoratto, a senior majoring in biomedical engineering, and Winston Warrior, a lecturer in the School of Communication. But Jeong didn’t always want to enter the entertainment industry. He began as a pre-medical student at Duke University and went on to obtain his medical degree from the University of North Carolina at Chapel Hill. But Jeong said he felt obligated to finish what he started and ended up doing his residency in New Orleans while taking up acting jobs on the side. It was only a few years after he married his wife, Tran Ho, that he decided to give up medicine and pursue acting full time. However, Jeong’s journey to becoming a star after he quit his medical career wasn’t always easy. “If you are a minority pursuing a career in the arts, no one really kind of gives you a course of what to expect even if you’re a minority in the arts or a minority in comedy or the show business, and there is no magic one thing ‘If you’re Korean, you’re like this.’ There are always obstacles and instability and uncertainty,” said Jeong. Something that Jeong discussed in his address to the crowd was how Asians are stereotyped in roles on television and in movies. In his show “Dr. Ken,” Jeong recalled “white, male writers” writing the role for Asians and how he would sometimes have to go back and rewrite parts to portray these characters more accurately. “It’s not like my wife would say, ‘Hey Ken. How’s your day?’ ‘Oh, it’s tough being an Asian American doctor in San Fernando Valley. How was your Asian American day?’ Some of the writing was getting to that level,” said Jeong. 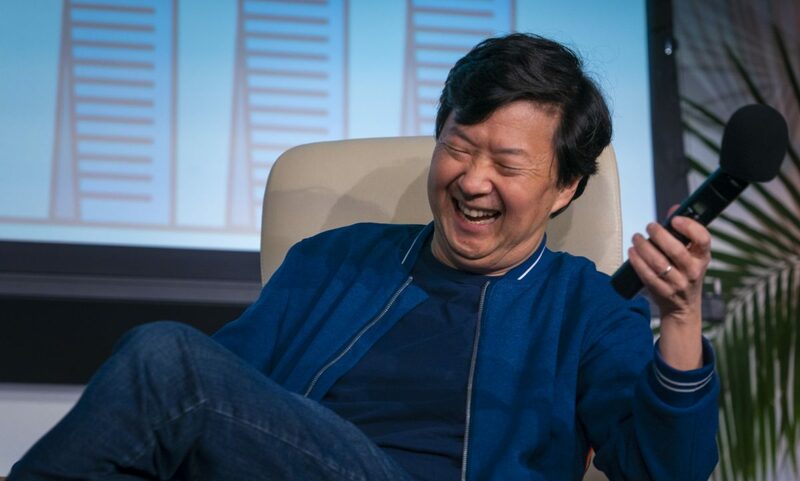 Overall, while Jeong said he thinks there are still not enough roles that accurately portray Asian Americans, he said that there has been a big change in the entertainment industry since his 2007 role in “Knocked Up.” He cited “Crazy Rich Asians,” a blockbuster studio movie with an all-Asian cast, as a good example of this progress. Overall, the event was a success. Keegan Gibson, a junior majoring in biomedical engineering and chair of the What Matters to U planning committee- which is now a part of the new SG agency SEPA, said that over 800 students attended the event. “When we were first thinking about who we wanted and what these events would be, I don’t think any of us could’ve dreamed of an event that was that successful and that went that well,” said Gibson. Andrea Wright, a senior majoring in marine science and geological sciences, said she really enjoyed the topic of the event. Student Juliette van Heerden, a freshman majoring in microbiology and immunology, decided to attend the event after taking part in the first seminar with Bill Nye.